If you’re looking for a supercharged fast car but also an SUV than this may be right up your street. This Range Rover has a 5.0L petrol V8 engine which is able to do 0-62mph quicker than a Porsche 911 Carrera 2. This car is not an economical car letting out 306g/km and only managing to do 21.1mpg but that’s beside the point, this car hasn’t been made to be economical or cheap to run, as it has been made you can have an amazing driving experience in a beast of a car. It’s a luxury, powerful car that will rumble through your town. Inside, you can immediately tell that is this something special, the dashboard is minimalist and everything controlled by buttons which are perfectly placed and easy to use on the move. Aluminium and leather accents flow through the cabin. A big highlight of this car is the body-hugging, leather sports seats that are extremely comfortable. Some people may need a hand getting in the car as it is seated rather high compared to other cars, but nevertheless, once you’re in it is pure luxury. 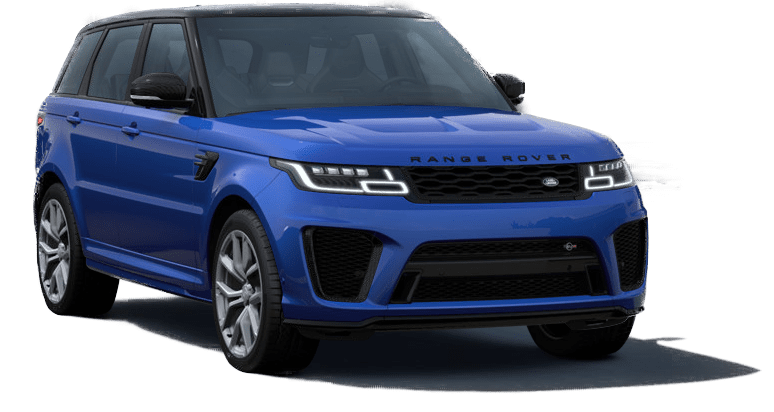 The Range Rover SVR can go from 0-62mph is an amazing 4.7 secs and has a top speed of 162mph. For a large powerful vehicle it is good at handling, due to its sports suspension at slower speeds the ride can feel quite firm but nothing you wouldn’t expect in a beat of a car like this.